Cargo will be delivered within 1 day after payment arrived. Tracking Number will be offered once delivery done. facilitate the progress under buyer's permission and at buyer's expense. harddiskdirect.co.uk will quote all destination charge prior once we have confirmed order. harddiskdirect.co.uk is responsible for transporting goods to door after you have made the payment. 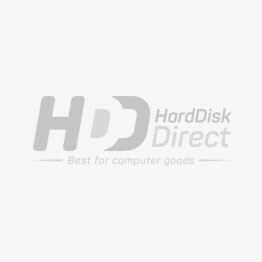 We at Hard Disk Direct aim to provide our valuable customers the lowest prices possible of our product and give 100% guarantee to you that our prices will never exceeds the competitor’s product. Quality is our number one policy, and we do follow our policies strictly. A complete check and balance is done for all the products before any shipment and we make sure that all of our products are 100% Original and Genuine. Products we provide are “New Sealed” or “Used/Refurbished” and are certified for having good standards. We are offering free Cisco Expert Consultancy Service to our customers for their personal learning or technical support. You can contact us through phone, email or the live chat option. Our customers trust on us and we value your trust above all. Our suppliers efficiently make sure that our entire product is delivered on the promised time safely with our secure payment method. Our verified authorization includes: MacAfee Security, VeriSign Secured. In case of any returns, Return Material Authorization request should be raised after agreeing on the given terms and conditions below. This is mandatory on all the returns of HDD items regardless of the reason for return. Items should be returned with all the accessories, manuals, softwares, and warranty claims should be placed in their original packaging and should not be damaged. On receiving your RMA number, kindly repack the items in the same way the items were sent to you. In case the original box is marked or damaged in any way, restocking fee of 25% will be charged. Avoid writing directly on the original box or packaging. Clearly mentioned the RMA number on the outer box of the package because the package will not be accepted without RMA number verification. Mention our full address properly on the outer box of the package using a label. Once the product have been received and tested by our supply chain department, you will be getting your exchanged product within 10 days of receipt of the damaged item. Please note that in case of any discrepancies between your PO and the goods received must be informed within two days of receipt of the product.